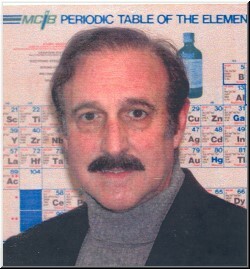 Mr. Michael Del Prete. He is a pioneer marine fish and coral breeder. He is familiar with collecting, importing, shipping and maintaining a variety of marine aquarium displays. 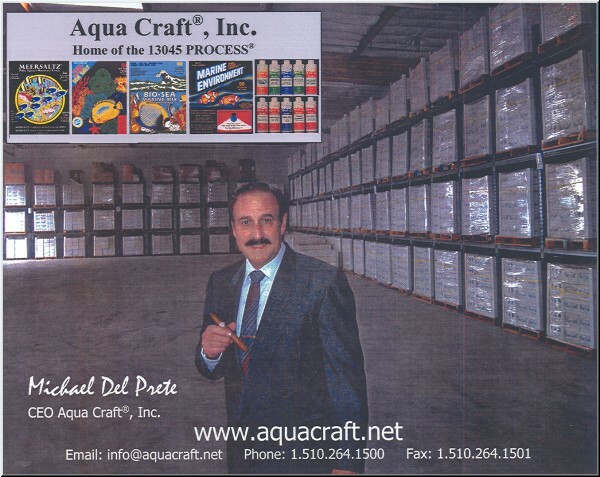 He is the CEO of Aqua Craft Products®. Aqua Craft Products® was founded in 1971. Aqua Craft Products® world head quarters is currently located in Hayward, California USA. Aqua Craft Products® maintains offices, display rooms, sales agencies and/or distribution centers in the USA, UK, Russia, Poland, Italy, Middle East, Hong Kong, Taiwan, Singapore, China and Japan. Preparations are being made to include additional outlets in: South America, Korea, Australia, other European countries and select areas of the USA. Aqua Craft Products® produces four brands of marine salts for the aquarium industry as well as Premium Lobster Salt™ for the live sea food industry. They also manufacture ECO-SEA® a flexible formulation for special applications as well as private label brands. Aqua Craft Products® items are utilized internationally in public aquatic displays, universities, laboratories, aqua culture facilities, various state and government agencies, for research and associated scientific study of captive marine organisms as well as home marine aquariums world wide. Aqua Craft®, Inc. also produces a full line of fresh water aquarium and pond items. Aqua Craft®, Inc. also holds multiple patents for an advanced liquid-gas-contact reaction medium. Aqua Craft Products® researched and developed, then brought to market items that were employed in pioneer marine fish breeding programs from 1971-1974. Aqua Craft®, Inc. was among the first to breed, raise, advertise and sell tank raised clown fish (through multiple generations) in a 100% artificial sea water medium. That included all first foods. Aqua Craft Products® provided Marine Environment® dual phase formula™ for use in the worlds first captive spawning of red polyp head corals in 1974, mandarin fish in 1976. Marine Environment® dual phase formula™ was utilized at Boise State University in 1980 for the worlds first viable captive breeding of Chambered nautilus. All forms of marine life thrive in unsurpassed MARINE ENVIRONMENT® dual phase formula. This unique superior ultra high purity two part synthetic sea water formulation contains enhanced levels of calcium, strontium and a strong pH buffer. Also included is a separate “little bottle”-that contains various and/or vital supplements or additives usually purchased separately. Marine Environment® is the worlds first and only reef formula, it is the ultimate marine salt creation! Delicate three day old dwarf sea horses wait for live foods to pass within their reach. 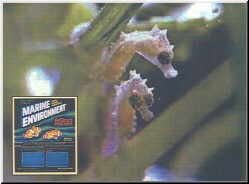 Baby brine shrimp soaked in Marine Vita-Pep™ is an excellent source of nutrition for newly born sea horses. High water quality as well as a source of live foods is essential to keep sea horses. Aqua Craft Products® utilizes the proprietary 13045 PROCESS® mixing procedure. All Aqua Craft Products® marine salts are mixed in a near weightless, anti-gravity state in a pressure controlled dry fluidized bed. This ultra high-tech mixing process ensures that the entire formula is evenly dispersed throughout each finished package. Aqua Craft Products® marine salts are consistent blends of naturally occurring ingredients that are void of undesirable contaminates. Each brand or formulation rapidly produces a crystal clear, pollutant free sea water solution to meet the demanding and exacting needs of all levels of marine aquarists™. 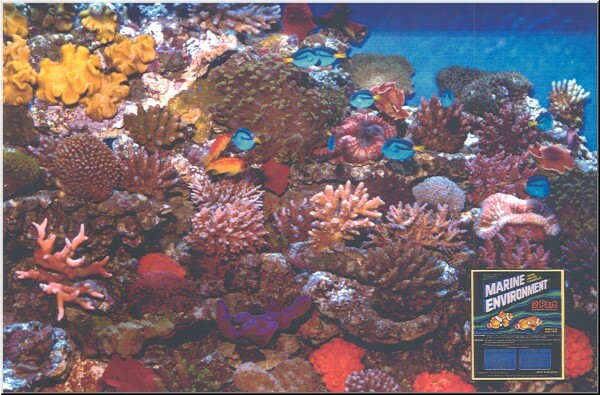 Delicate corals and exotic marine fish thrive in BIO-SEA® Marinemix. Excellent for research and culturing various marine organisms. The standard for science, education and knowledgeable marine keepers. BIO-SEA®is the bench mark research formula. Initially created for researchers that required a “true sea water formula”, BIO-SEA® soon found favor with knowledgeable home marine aquarists™. BIO-SEA® Marinemix is bio assay successful with urchin and various larva rearings. Basic to sophisticated marine aquariums exhibit natural dramatic colors and excitement associated with tropical reef environments. CORAL MARINE® scientific formula is equivalent in composition and working ability to high grade European marine salts. Produced with the high purity ingredients and with the 13045 PROCESS®, its consistency from package to package along with economy make this formula attractive world wide. CORAL MARINE® scientific fomula is bio assay successful with urchin and various larva rearings. A variety of hard and soft corals thrive in the ultra consistent, high purity culture medium produced by with the 13045 PROCESS® found only with Aqua Craft Products® marine salts. All Aqua Craft Products®marine salts are bio assay successful with urchin and various larve rearings. MEERSALTZ®/ Public Aquarium Maintenance Formula™ is produced in tremendous quantities for cost oriented buyers world wide. With high purity, consistency and low cost MEERSALTZ® has become standard at many public aquatic displays. Ideal for the “no frills” approach to salt water fish and nvertebrate aquarium keepers. Aqua Craft Products® marine salts are produced with the 13045 PROCESS®. This exceptional disciplined technique is the path to uncompromising ultimate marine salt quality. All captive marine organisms do their best when kept in a solution that is made from high purity and/or specially selected ingredients. Aqua Craft Products® marine salts are incredibly consistent and free from undesirable contaminates such as: ammonia, phosphate, nitrite, nitrate, heavy metals and impurities that can cause the growth of unwanted algae. Aqua Craft Products® did not invent synthetic sea water. We simply perfected it!